From humble beginnings to successful salesperson, entrepreneur and business owner. Jeff understands what it takes to start a business from scratch. Growing up in Indianapolis, he was instilled by his parents the idea that anyone can succeed regardless of life circumstances. Fresh out of college, Jeff obtained his Indiana real estate license and began his salespersons career with a local real estate company. Success came slowly but with perseverance, patience, hard work and discipline he became a multi-million dollar producer and won many awards. He went on to start J & C Asset Group LLC, a real estate investment company that helps low income people live in clean, safe, and affordable housing with the help of Housing and Urban Development. Through this partnership, families are able to live in a peaceful environment, which is the cornerstone to success. With a blossoming real estate career, he went into management with Keller Williams Realty. He shared his vision that, “education is the key to success” and started his next company- Real Estate Career Network, an education company for real estate agents and brokers along with career start programs for the general public. 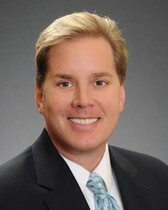 Jeff has now joined the Haddad Team of Keller Williams, helping people buy and sell their property. With his leadership style, vision, knowledge of real estate and his passion for helping people achieve their goals, this high producing yet caring team of real estate brokers can help you achieve your goals too.